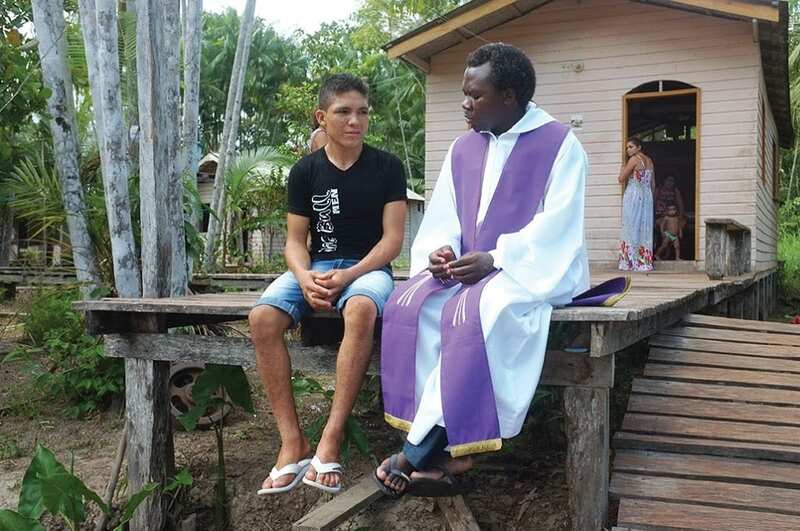 It is true that evangelization of people is the goal of every missionary, but I have discovered that the meaning of evangelization takes on different forms when it is applied to the territory of a multi-ethnic and multi-lingual parish. “We do what we do, not because you are Catholic, but because we are Catholic”. This quotation is one of those well known from Rev. Msgr. 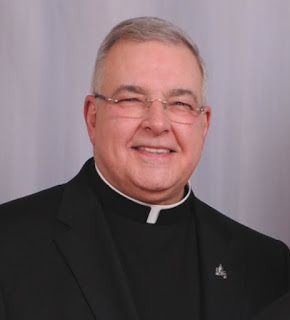 Ronald T. Marino, the Episcopal Vicar for Migrant and Ethnic-Apostolates of the Diocese of Brooklyn. Msgr. Marino has spent more than four decades caring and advocating for the pastoral and temporal needs of newcomers here in Brooklyn, New York. The Diocese of Brooklyn from its founding has been recognized as a Diocese of immigrants, it is the smallest territorially and the only fully urban Diocese in the United States. In this great Metropolis of New York City, it stands as a beacon, welcoming people from every nation, culture, race and creed. These newcomers, of which many are non-Christians, bring with them their faith, culture, heritage and traditions which is an ongoing challenge to the local Church. Msgr. Marino also served as Director of the Catholic Migration Office which was established in the Diocese as a direct response to the call of Pope Paul VI in 1969, namely “Instruction on the Pastoral Care of People Who Migrate”. The Instruction called on bishops to set up a separate office in the curia of the Diocese for immigrants if they found this would be necessary to provide a true welcome to the newcomers. This agency was recognized as the first in the world to respond to the Instruction on creating a special Diocesan office for immigrants. During his tenure at the Catholic Migration Office, Msgr. Marino established numerous initiatives and programs serving to enhance the lives of the immigrants and helping them to better integrate in their new society. 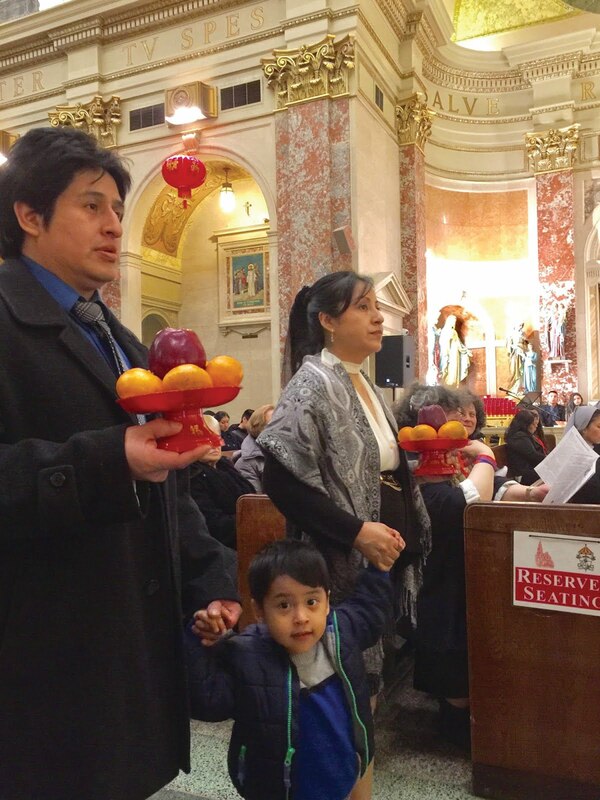 As a direct result, large numbers of immigrants continue to encounter Christ through these efforts of the Diocesan pastoral ministries. Waves of newcomers experience encounter, conversion and renewal leading them to communion in and with the Church. It also happens that Msgr. Marino is the current Pastor of St. Rosalia-Regina Pacis Parish, where I am presently assigned. Little did I know that I would be associated with someone who has such a long and rich understanding of the Catholicity of the Church. Here we have a multi-cultural and multi-ethnic faith community made up of individuals from Italy, China, Taiwan, and several Spanish-speaking countries like Ecuador, Guatemala, Honduras and Mexico. However, lest anyone think that this is only a matter of priests and staff who can speak other languages for the celebration of Holy Mass and the Sacraments, it has long grown from that basic level to an attempt to create the unity of the Church through the Catholic faith which we share. ​Here in Brooklyn, the other parish priests and I often reflect on the challenges of such a diverse population. We believe that the multi-cultural nature of our parish is a gift of the Holy Spirit to the Church, and our duty as true missionaries is to understand what the Holy Spirit is demanding from each one of us. This has caused us to put aside many ordinary pre-suppositions and to re-examine our own missionary call. In my case, I was called to be PIME missionary when I was in Italy. Through my regular mission assignments, I went to other countries and took the time to learn other languages, especially Chinese. 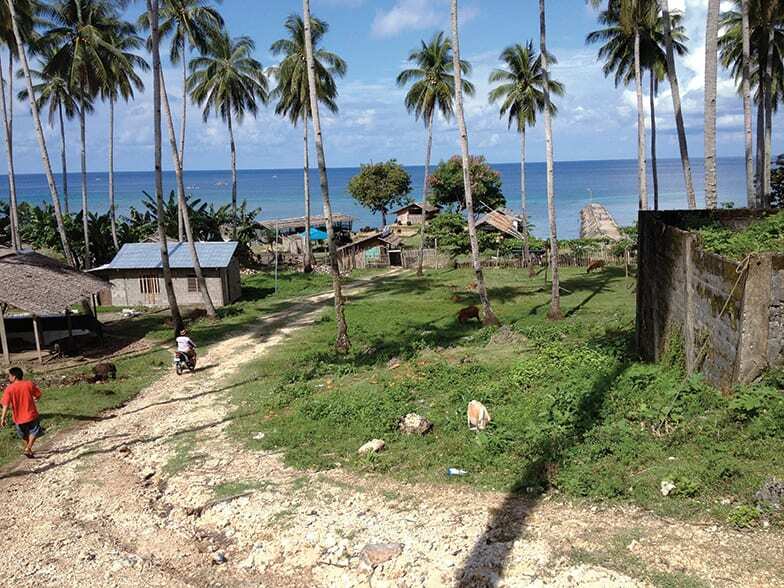 In my current assignment I am once again utilizing, more so than ever before, the Chinese language and customs which I acquired in my missionary assignments in the Far East. 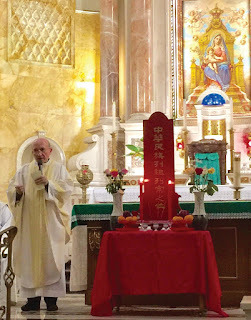 In my ministry, I celebrate Holy Mass in Chinese, English, Italian, and sometimes in Spanish. A Parish consisting of such a diverse Community requires a genuine openness to the Holy Spirit in welcoming the newcomers while adhering to the needs of its established parishioners. Given this dynamic, to be pastorally effective, it is vital to have careful, creative and vibrant pastoral initiatives enabling each ethnicity to grow in the faith and uniting as one parish family. Due to the many initiatives of our Parish, the Chinese immigrants in the area have come to the Church in good numbers which grow every week. 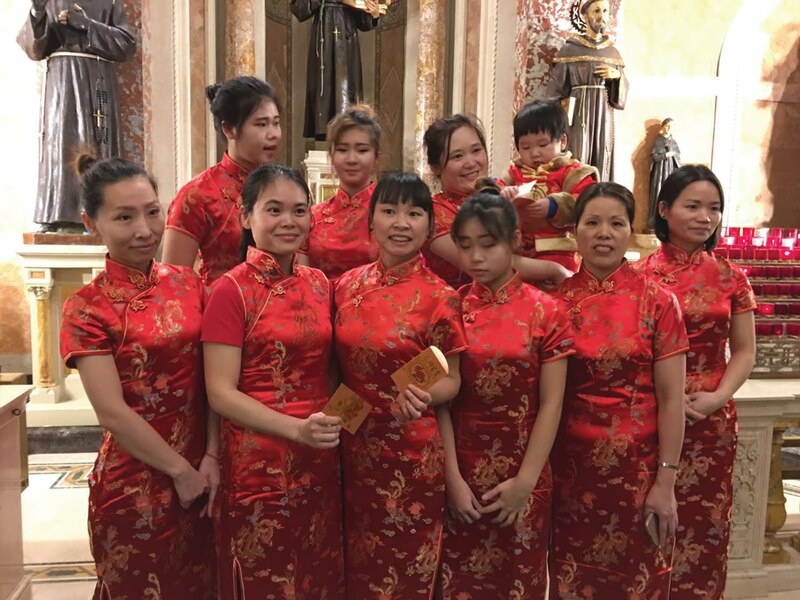 This has been a sincere wish of the Pastor and even the Bishop to welcome the more than 500,000 Chinese immigrants in the Diocese into the Catholic Church. For many of these individuals, the freedom to celebrate the Catholic faith here without fear, is itself a gift of the Holy Spirit which He has caused us to share. The Catholic Church which the immigrants encounter is the experience of the Church as it is lived here in America. 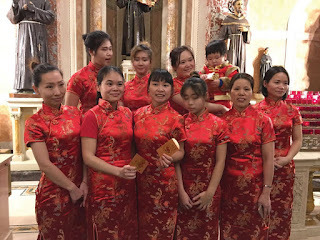 In St. Rosalia-Regina Pacis Parish the immigrants come together as Chinese, English, Italian, and Spanish ethnicity, all join together and participate in the celebrations of the major feast days. 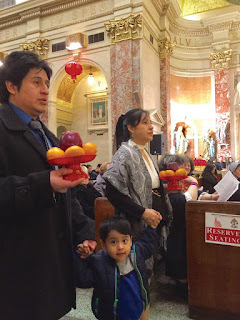 This is because here we instituted a pastoral practice of “multi-lingual and multi-ethnic celebrations” which include the use of the languages of our parishioners. Nothing is repeated, but each group has a significant part in the prayer. This is a wonderful experience and expression of celebrating our unity in diversity. As for me, I am still learning and witnessing how the Holy Spirit continues to guide and strengthen the Church by bearing countless fruits. As a missionary, this assignment has been a real gift to me, full of new encounters, ongoing spiritual enrichment and a greater desire to follow where the Lord continues to lead me.